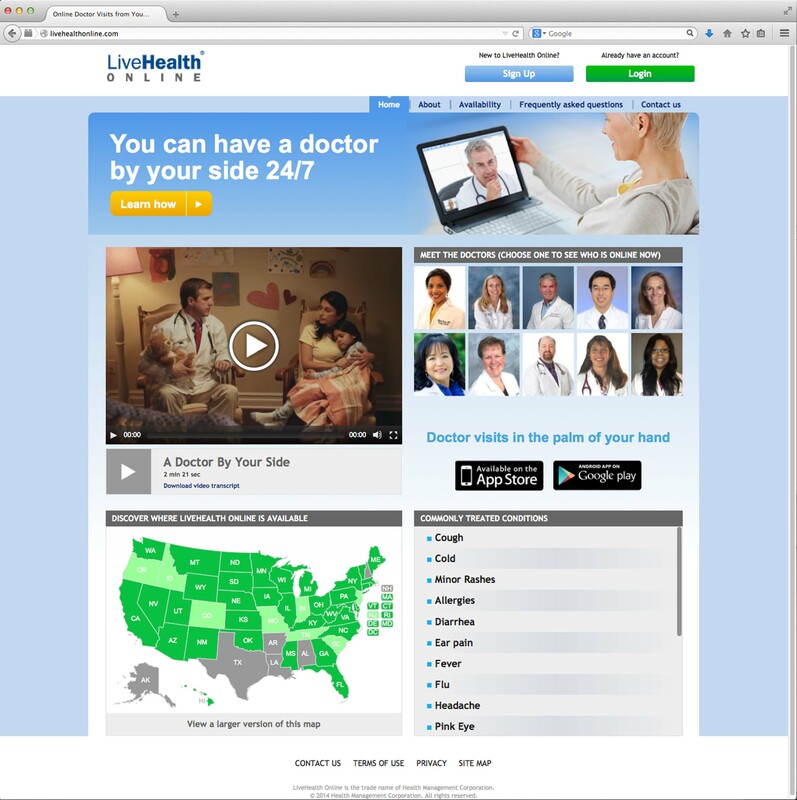 *Disclosure: Sponsored partnership with LiveHealth Online. The LiveHeath Online app (for iOS or Android) offers a safe, fast and easy way for moms to talk face-to-face with a doctor to get a diagnosis and treatment for themselves and their families for urgent care conditions that pop up every summer such as hand­, foot­ and mouth disease, pink eye, rashes, sunburns, and other air ­and ­water borne viruses. Moms can use the LiveHealth Online app 24/7, 365 days to talk securely and privately by two­-way video chat with a U.S.-­based, primary care doctor. If relevant, the LiveHealth Online doctor can send prescriptions electronically directly to a local pharmacy. Doctors can make diagnosis, prescribe basic medications if needed and answer questions. You can review doctor profiles and ratings to choose which doctor to see for your visit. During the session, the LiveHealth Doctor can review your health history and send a record to your regular doctor. The site states that for emergencies of course to dial 911. As part of this campaign I received a complimentary session which I was excited to use. One of my sons has had Eczema since he was a baby, and as a tween it is has become even more bothersome. His doctors are helpful but I have been looking for a second opinion for some time. I visited the LiveHealth Online website, created my account profile and profiles for my kids and then requested to see a doctor from my state. Of course the only time I have free is after 9pm so that’s when I logged in for a visit. I was put in an online waiting room for a few minutes and then the doctor promptly joined in the live video chat . At first I apologized for calling so late and she was so upbeat and said – “no problem, what can I do for you” with a calming smile. It was comforting to be able to video chat live with the doctor from the comfort of my home computer. I started by explaining the history and challenges of my sons Eczema as she reviewed his health history which I had prepared online. I told her that I have been looking for some time for natural ways to help him. I was then delighted to have a great conversation with her about different types of nutrition and natural remedies that might be effective. This is exactly the type of information I had been looking for some time. Having the conversation on a video chat at a time that fit into my schedule was definitely more relaxing then the stress of making it into the doctor’s office. Now I just wish that they had doctors that I could video chat about my kid’s homework allergy! Disclosure: This is a sponsored post. All of my words are my own. I received a complimentary session to try out the service.